I just finished my sister and her husband's Christmas gifts. They were very simple, but it took me awhile because of the color work. Basically, I cast onto my fine gauge loom 45 pegs using the e-wrap cast on method. Second, I Knit one Purled one for 5 rows (a flat panel) in my contrasting color (slipping the end stitches on each turn). On row 6 I changed to my second (or main color) and knit two rows. Then following my graph I created in Excel, I started my color work. I finished up with one row of knit in the contrasting color and four rows of Knit one Purl one. I used the crochet bind off method with a single crochet in between each join. 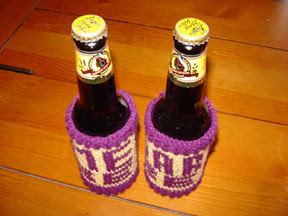 I used the mattress stitch to sew up the sides, and voila, custom beer cozies for the Minnesota Vikings fan. Now they wont get eachother's beer mixed up when they watch the game! Anyone who is a member of my loom knitting yahoo group Decor Accents, knows I released my loom knit gloves pattern last Friday. Well, the glove pattern I am selling is by far superior to the first glove pattern design I made (my prototype). The first one made it possible for me to design the second version. I had a lot of issues with this pattern I wasn't able to solve. The worst of which was making the fingers larger to fit my hand without making the hand portion too large. When I did figure out a way to make the fingers larger, I got some holes that needed to be fixed. For anyone with slender fingers, or for anyone who doesn't mind mending holes, this pattern is offered here free for personal use. Feel free to share this pattern with a direct link to my blog! Crochet cast on 45 stitches clockwise (or left to right on a single sided rake) onto a fg loom with at least 45 pegs. Rows 5 & 6: e-wrap and K12 turn and K12 (clockwise). 33 stitches will not be knit on this row. stiches, use the loop from this bindoff to begin row 9 (33 stitches will remain on the loom). Row 15 & 16: e-wrap and K14 turn and K14 (clockwise). 31 stitches will not be knit on this row. Row 19: Crochet cast off 12 stitches following method described in row 8 with bindoff to begin row 20 (33 stitches will remain on the loom). 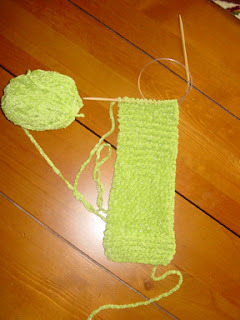 Row 28: Crochet cast on 13 stitches following method described in row 9. Row 39: Repeat rows 1 through 8 two times (16 rows worked). Do not do a crochet cast off until you have worked the 16th row. Row 40: Crochet cast on 21 stitches following method described in row 9. Row 70: Crochet cast off glove from loom. Sew up each finger and side of glove using the mattress stitch. I also did a version where I slipped the loops created from the crochet cast off onto the loom with right sides of the glove together, then I took the top part of the glove I needed to join and slipped those loops from the crochet bind off onto the loom and knit off. Then I did an additional crochet bind off and whip stitched the tops of the fingers closed. Turn glove rightside out. Make another glove. © Copyright 2007 Karen Gielen For personal, non-commercial use only. All rights reserved. 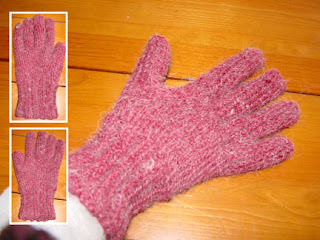 Now you can create a pair of gloves with fingers in half the time it takes to needle knit a pair! Create a pair of these cozy gloves with fingers using your fine gauge round loom with 40 pegs (the fg adult sock loom from Decor Accents was used for this design). These gloves features a thumb gusset that swings both forward and backward making them interchangeable, therefore you will not have a right or left hand glove! I didn't officially time how long it took me to create a pair of these since I took lots of breaks to care for my family, however, I would guesstimate the time at approximately 3 hours for each glove! That's half the time of conventional knitting on DPNs! Once you get the hang of things, your next pair should go even faster still. Sized to fit a medium/large woman's hand, they make a great last minute Christmas gift for the women in your lives! The skill level is intermediate since you will be using some advance seaming techniques. A link for a great video tutorial on this advance seaming technique is provided for advanced beginners to broaden their looming skills! Enjoy! Must be too many irons in the fire! Man, oh man. I haven't posted since September 5th! Where exactly does the time go? I must be having fun...Don't they say that time flys when you're having fun? Well, we did have something extra special happen last Friday, September 21st...we got a very special addition to our little herd of alpacas. She is just a doll! She doesn't have a name yet. And no, we HADN'T considered Delilah! She was born bright and early in the pouring rain! So much for alpacas being born between 8 a.m. and 12 noon! Ha, ha! Oh, and so much for them being born on a sunny day! Well, it did clear off and turn into a bright and very warm day until about noon when the wind switched and it turned cold again. I am just happy it got warm shortly after she had her and she was able to dry off and get used to her new legs and surroundings while it was warm out instead of the bitter cold we had the few days before her birth. Isn't she just the sweetest? The kids had a great time with the water balloon fight despite NOT being able to create two giant pirate ships from cardboard boxes like I had intended. 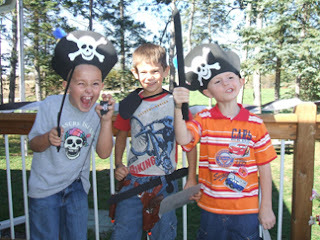 I had the kids walk the plank blind folded (a wooden board stradled across two cement blocks). The best part, I drew sharks with sidewalk chalk circling the plank and even had a shark emerging from the water ready to bite it's next victim. I should have gotten a picture before the kiddos threw water all over it during the water balloon fight. It was VERY cool! Makes me want to draw again! I decided to design an alpaca winter hat using the Fair Isle or Standed Color knitting method. I intend on looming my hat. It would make a cute bag too! © 2007 Karen J. Gielen. All rights reserved. This design is my own creation. I was not able to find a pattern anywhere and had to make my own. Please do not copy, take or distribute without my written consent! It's maddening. The more tired I am, the worse it gets. Night after night it is a ficious cycle. I am going crazy with it. How can it affect just one leg? I am trapped in a nightmare but I am not even sleeping! At midnight I got back out of bed to research this horrible disorder. I need to work on cutting caffeine from my diet. I need to try adding more folate. I could have severe kidney failure. Oh boy, this gets worse. Looks like I can expect it to get even worse as I age. Oh, wonderful! We finally brought our alpacas home! It took a few days for them to settle in but now they are right at home. I just love going out there and feeding and stroking their soft coats. Our baby boy, Samson, is so friendly and just the cutest little puff ball of fur. You could just hug and squeeze him. I am well into reading this book on of the ranches gave as a gift to us on handling and herding Alpacas. No wonder I like them so much, their mannerisms resemble cats in so many ways. They even use a communial toilet area and do not go all over the pasture. 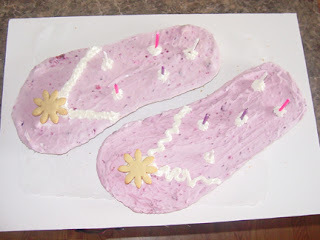 Coolest Flip Flop Birthday Cake Ever! 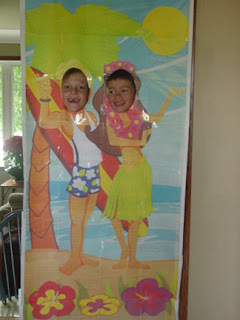 Sam poses as the "Surfer Dude" while Kaden poses as the "Hawaiian Hoola Dancer"
The proud birthday girl adored her flip flop cake. Now, back to the flip flop dishcloths I am designing. I have completed my first test pattern and I have two ladies lined up to test two more prototypes and I will be ready to release my design. I have a really neat idea to jazz up the design (I promise, you won't be dissapointed). Stay tuned for pictures and the FREE pattern for you to try out for yourself. 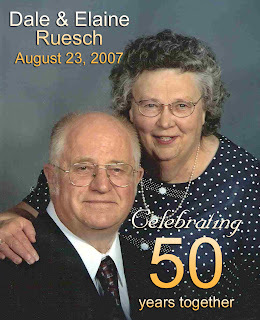 I am almost finished with my parent's 50th Wedding Anniversary video presentation. It's been a huge, time consuming (but enjoyable) project. I've added so much since my mom and dad got a sneak peek. I was able to work some things in that are very meaninful to them and I do hope everyone enjoys watching what I've so enjoyed putting together. I wish I could share this BIG project here on my blog, but unfortunately, it is 125 MB and would never upload to the web. It is nearly 30 minutes long and contains video clips, music, photos, and voice over narrations. 3 a.m. wake up call! BEEP BEEP BEEP! ALERT! FIRE! GET OUT OF THE HOUSE! BEEP BEEP BEEP! ALERT! FIRE! GET OUT OF THE HOUSE... Imagine gettting a wake up call at 3 a.m. that your house is on fire! That is exactly what happened to my family last night. I flew out of bed so fast, I was the first one up. I screamed at my husband "LEE! FIRE!" and ran into the hallway to grab our little girls. But, there wasn't any smoke. My husband jumped out of bed and together we ran through the house trying to find the fire. Our inline smoke detector also detects carbon monoxide and we thought maybe this is what set it off. We ran downstairs to check on the kids in the basement. They were all up, eyes wide with fright. We checked every room and found no smoke, no fire. I told my husband to go outside and see if he could see any smoke coming from the roof. No smoke. We were puzzled. Our sleepy minds couldn't figure out what had happened. The alarm started up again...BEEP BEEP BEEP! ALERT! FIRE! GET OUT OF THE HOUSE! BEEP BEEP BEEP! ALERT! FIRE! GET OUT OF THE HOUSE... We suddenly remembered that we had a plug in carbon monoxide detector we could plug in and see if it was going off due to carbon monoxide. But where was it? The last anyone had seen it was in our office. 3 a.m. is not the best time to look for something that someone thought they saw somewhere. We are still recovering from a whole house move and things are still unpacked and we still have boxes stacked in our closet. We couldn't find the carbon monoxide detector. The alarm had shut off at this point so we could only assume it had malfunctioned. The only other way to set off this alarm is to purposely press the button to test the alarm. No one had pressed the button. We milled around the house for awhile, uncertain what had happened, relunctant to go back to bed. After we decided it was safe to go back to bed, a bad thunderstorm came through and my husband climbed back out of bed and turned on the t.v. to track the storm. I drifted off to sleep, the thought of determining a fire escape plan for myself, my husband, and our two girls upstairs. We have already figured out an escape plan and a meeting place for the four kids we have in the basement. Our eldest daughter has a removeable ladder on her bunk bed and it is perfect to hook up into the window wells so each of the kids can climb out and run to safety to the swingset. Please, please, do not wait until 3 a.m. to figure out an escape plan! Do not wait until your mind is half asleep like we did. This 3 a.m. wake up call woke us up to the fact we hadn't planned anything. There has been much loss for us within the past year. We lost a brother (my brother-in-law) last fall; last week my dear aunt (my mother's oldest sister) passed away; I just heard yesterday that one of my sister's friends (a sweet, sweet lady that was a bride's maid in her wedding) passed away this weekend; and now we lost our cat Beauty. We believe she was run over on the road or was taken by an owl. She never came home the night before last, when they are gone that long, they normally do not return. I spent most of the day on Friday driving down to my parent's house in southwest Minnesota so I could attend my aunt's funeral Saturday morning. I hadn't seen my aunt in many, many years. The course of our lives leads us in directions far far away from those we love sometimes and I hadn't had a chance to see her or to say goodbye. Her funeral was my only chance to say fairwell. Even though I came down with the flu on Thursday night, I still insisted on driving down so I could attend her funeral. I drove down with a fever and aches all over my body. I drove down with two little girls that weren't feeling well either. 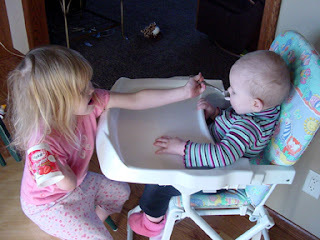 Amanda had gotten sick the day before I had and still wasn't eating much and was very whiny. 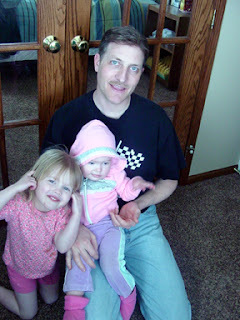 My other daughter Paige got sick on Friday evening when we were sitting in my parent's living room. She got sick all over me. My mother had just handed her off to me and the movement must of been just enough to completely upset her stomach. First of all, I want to send out a GREAT BIG THANK YOU to each of you who sent me your name ideas for our baby boy alpaca born to Martini, the beautiful alpaca we are purchasing from Hollyhock Alpaca Farm in Becker, MN! There were so many wonderful names to choose from! The decision was a tough one! There was one name that struck a cord with us though. We LOVED the concept behind this one name! You see, alpacas are raised for their luxurious fleece, their value resides in their fleece. The more crimp they have, the better. The softer, the better. When you take this into account, there is only one name that says it all, the name Sampson. Sampson from the Bible, got his strength from his hair. A male alpaca Sire is carefully chosen because of the quality of his fleece (hair) and his composition or stature (strength). Sampson fits him perfectly! The lucky gal with the winning name is Trish. Congratulations Trish! Name our baby alpaca and win gorgeous alpaca yarn! Isn't he adorable??? He doesn't have a name though. Tough decision time. He needs a great name. I am a firm believer that an animal takes on characteristics of its name (people do too). Since we want this little fella to turn into a great Sire for our herd (we have female alpacas unrelated to him we could breed with him) we want him to have a worthy name. 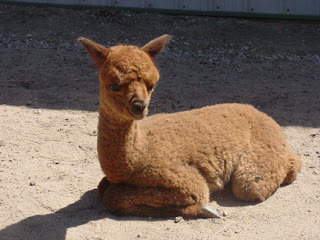 If you can come up with a worthy name for this little guy, you will snag yourself a skein of gorgeous alpaca yarn! 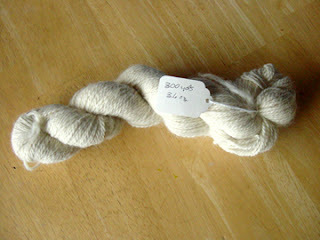 This yarn was spun from alpacas at one of the ranches we are purchasing our alpacas from. It is white (you could dye it if you want). This yarn goes for $6 an ounce! The skein is 3.6 oz and is 300 yards. It is sock weight and there is plenty of yarn here for a couple pairs of soft and cozy socks. Retail value of $21.60! Post your name ideas in the comments section to this post. This contest will run for a week (unless I only have a handful of entries, then it will run longer) and once we choose a name, I'll post the winner's name. We need to check with the Alpaca Registry database to make sure the name is unique before we use it, since alpacas are registered animals. This process will take a little time so I'll post the winner as soon as possible (shouldn't take but a week or so). The winner is responsible for contacting me so I can get the mailing address to send this yarn to. I'll post my email addy along with the winner's name. Good luck! Win this gorgeous alpaca yarn! I have been face painting again. I used to face paint a lot and could dig up some great pictures I took of my previous work. I haven't painted a face in a long time. 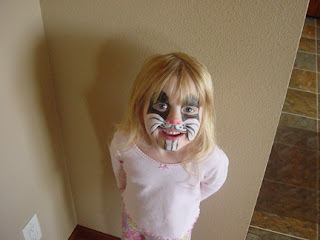 I painted a cat face on my stepdaughter for her play the other night because she begged a pleaded with me so I caved. My youngest daughter watched me paint with total admiration and has wanted me to paint her face two days in a row now! I didn't get a picture of my stepdaughter's face, nor did I get a picture of my daughter's butterfly face yesterday (both were awesome), but I did get a picture of her rabbit face today. I started my Threads of Compassion scarf the other day. I've ripped it out a couples times because I couldn't get the size right so I am not very far. I just started my loom knit version about an hour ago. I have been working on my mom and dad's 50th wedding anniversary presentation over the course of the past couple weeks. I am teaching myself how to use a video editing and movie making software that came with my laptop. While I was watching several hours of home videos the other day, I stumbled on some gems. Turns out, my husband is quite adept at handling a video camera. He does a superior job at narrating and working the camera at the same time to create a wonderful piece of film. It's really amazing what he captured while we weren't looking. 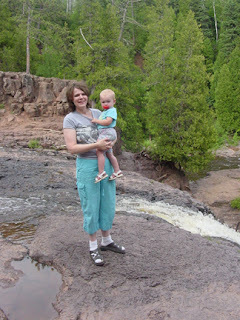 I watched videos of when my eldest boy was only two and a half years old (he is six now). 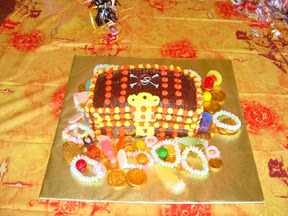 I watched videos of my eldest daughter's 1st birthday (she is four now). 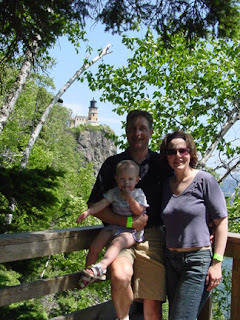 I watched a video my husband made of the kids and I the day I went into the hospital to have our youngest. These precious moments are cherished moments. I am thankful my husband insisted on buying a video camera. These moments would only have been faint memories otherwise. Memories that would have faided away, eventually. 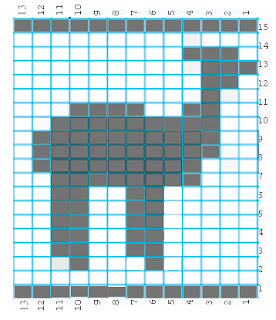 Needle knit VT square using my graph. My VT squares have been mailed (7 total) and hopefully they will be woven into an afghan that brings healing to a family grieving the loss of a loved one. 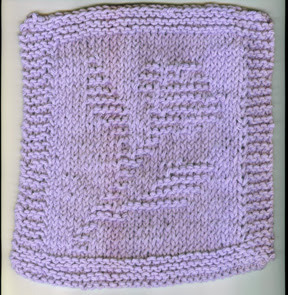 The square pictured above was needle knit using my graph. I really indended to provide written instructions for others so they could needle knit or loom knit some too, but life just got too busy for me and I barely had time to make squares myself. I did the best I could, and I am certain each and every square will find a special place in one of the afghans for the victims of this terrible tragedy. My mother got a couple dishcloths I knit up for her for mother's day. I finally got them off of my camera to share here. 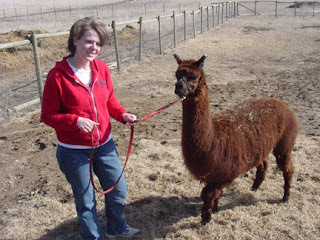 I got word yesterday that our alpaca that is being adjisted at a ranch near the twin cities had her cria. We welcomed a baby boy into the world. We had hoped for a baby girl to help grow our herd faster but in His wisdom, God blessed us with a boy instead. I will not fret since God knows what He is doing. 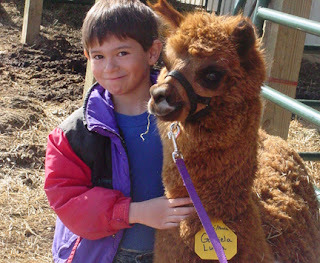 I thought about it, and since this boy is not related to the two other female alpacas we purchased from another ranch, he could be their sire when he is old enough. 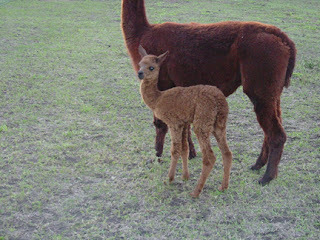 Our baby boy alpaca is dark brown and is doing well. His mother had a difficult delivery, but the vet said she should heal up ok and shouldn't have any problems in the future. When I get pictures of the little guy, I'll post them here. Wow, I have been busy, busy, busy! I haven't posted in awhile due to this very fact! I have gotten five going on six VT squares completed. I am now working on making a square on my fine guage loom and I am using my graph with the VT logo. It is tougher than I thought, but I am plugging away at it. Hopefully, once I get that down, the next one will be easier for me. 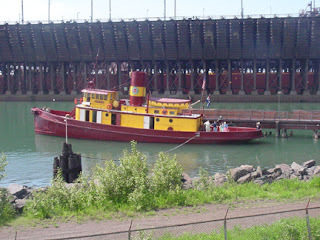 My hubby and I went down to the twin cities this past weekend first to visit my husband's mother in the hospital and then we went on from there to a small town east of the twin cities called Lake Elmo, MN to a Llama, sheep and Alpaca Fleece festival. I was in my element there! I bought a drop spindle I am anxious to learn to use. I have a lot of fleece out in our garage crying out to me to be spun up into yarn. I'll have to tackle that today. We have been busy, busy, busy getting our new garden ready for planting. My hubby was out late last night raking all of the dead grass roots out. We need to get this garden ready since it's starting to get kind of late now. My hubby keeps saying we should have decided last fall where we wanted our garden and dug it up then. Would of, could of, should of. I've added new products to the Looming Angels T-shirt shop. Looming Angels are making a difference, one person at a time. By choosing to be a part of this group, our Looming Angels have taken a stand to help the needy when they can. This t-shirt shop is dedicated to the LOOMING ANGELS who have chosen to make a difference in someone elses life due to a time of crisis, or they just need a helping hand because they've lost so much. At this shop Looming Angels will find products that not only advertise this new and growing group to others and hopefully grow our numbers even further and reach more people in need, but they will find products that will show the world they are making a difference....one stitch at a time! Doesn't everyone have a crazy aunt Purl? I have a blog of note I've added because it is the most hilarious knitting blog I've come accross thus far! It will keep you in stitches (hee, hee)! Stop by and visit my Crazy Aunt Purl and read not only the funniest knitting posts, but some of the best comments too! And, you'll learn something in the process! I am so excited to announce the new Looming Angels T-shirt Shop I opened yesterday! If you belong to the Looming Angels group over on yahoo.com, and you are proud to loom for a cause, stop by the t-shirt shop and grab yourself a "I am a Looming Angel because I loomed for a cause!" t-shirt! The prices are reasonable and there are many sizes and style available to suit most tastes! Looming Angels is a non-profit group and all prices are for cost only. Start shopping by visiting the Looming Angels T-Shirt Shop today! I created a graph for the Virginia Tech afghan square charity (permission has been given to use the logo for charity). It is a charity devoted to creating afghans for the victim's familes of the Virginia Tech shooting. It needs tweaking and I haven't figured out my guage yet or anything, but the hardest part is done (the graph). 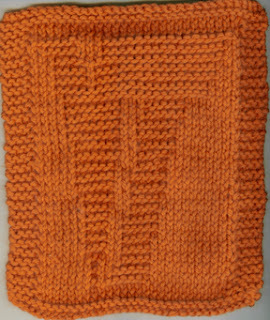 If you are interested in making up an 8"x8" square in maroon or burnt orange yarn and sending it on over to the Mosiac Yarn Shop in Blacksburg, Virginia, click here for further details. Do you know the popcorn man? Both Amanda and Paige were up all night whining. If it wasn't one it was the other...Lately, I feel as though my house has been taken over by toys and school papers...Every morning lately, I've had to change Amanda's bedding since she has had some pretty bad, messy diapers (she's getting molars in)...I am discovering someting torn, broken, or missing every day...I must have a house full of children, huh???? Have a good day! We lost another kitten. Our cat Beauty was really packed into the cathouse she had her kittens in and she must have layed on top of one of the orange kittens and sufficated the poor thing. Oh, I am so bummed out we lost one of the orange kittens! I wanted orange cats so bad and was so happy to have gotten two and now we are down to just one. I hope we don't lose anymore. The shearing of the alpacas was quite the adventure. We really have a lot to learn. We also realized that our barn is not nearly set up right to do a shearing of this magnetude. Since we are planning on having a large herd eventually, we need to do some more planning and will need to pour some cement in our existing barn so we have an area to shear in. I am glad we participated in this process since now we have a better idea of what we need to do. I am getting the dishcloth loom now. I was stuggling there. I think I have everything backwards though since I have only made dishcloths on needles thus far. My design is recessed rather than raised. My outside rows are recess also. I am thinking I will get some curling. I'll finish this cloth though since it is a learning process. I resorted to doing my knit and purl like Isela demonstrates rather than the ewrap and/or flat knit stitch. It was the only way to prevent my stitches from getting too tight. I forgot to relay the good news. We got five baby kittens yesterday. The kids were so excited. I thought Paige was going to explode! The poor momma cat had to have been stressed out by those noisy kids though, I had to chase them out of the garage, they were just screaming and jumping around with so much excitement and she was in labor, howling in pain, I felt horrible for her. They just didn't understand why it hurt her so much. They ran outside and kept peeking into the garage and were still jumping around and yelling to eachother in excitement. 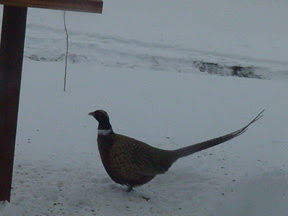 Every once in a while I would catch one of them sneaking into the garage and I had to chase them back out again. Momma cat did lose one. I don't know if it was from all of the chaos or if she would have lost it anyway. We still got four black ones and two orange ones though! I am so happy we got orange ones!!!! I've wanted orange cats for years and kept getting grey ones. It's about time we get some orange cats. New dishcloth loom, exercise progress, and shearing. Eight miles down, only 142 to go! It's starting to feel good. I have been wanting to run away from this extra baby weight, run to get some time to myself, run to banish insomnia...run so I can experience the exercise highs I used to before I had children. I got my dishcloth loom earlier this week. At first I was frustrated. It's a fine guage loom and I had troubles with it getting too tight. I popped into my looming dishcloth group and wonder upon wonder there was someone who asked that very day about why she was having touble with her fine guage dishcloth loom getting too tight. Someone suggested that she use a pen with all of the guts taken out to help her keep her wraps loose and I tried it, low and behold, it did the trick! 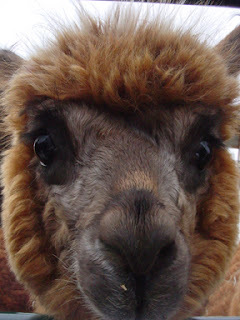 We have shearing on two of our alpacas on Saturday! It's suppose to be a hot and stuffy day. I bet the alpacas will be happy to shed their winter coats! I'll keep you posted on how it goes. I can't tell you how wonderful and profound I found the words in the above post. I met Bev in my Loom Knitting Newbies group over on Yahoo.com. I participated in the Chemo Slumber Cap Relay loom knitting slumber night caps for chemo patients. I headed on over to her blog to see a picture of all of the caps and read a little further in her blog and found what one lady in her Bible verse study group had learned about the verse Malachi 3:3 "He will sit as a refiner and purifier of silver." It made me think about all I had endured in my life thus far, how much I have seen others suffer in their lives as well, and I started to cry. It really makes a person's heart swell when we realize that no matter how bumpy and lumpy and difficult our journey is, our Saviour is there along with us and He never takes His eyes off of us! We need to endure suffering in order to become like Him! We can be rest assured in the fact that He is right there with us and He will not allow us to parish. Make sure you check out that post! Yes, Sir! Yes, Sir! Three bags full! 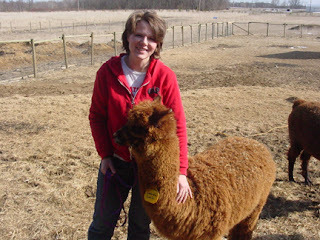 I went to visit with my alpacas yesterday after my sister and I had our spinning class! Oh, so much fun in one day! And, on top of all of my excitement, I got some bags of alpaca fleece that was going to be thrown out by the owners of the farm where my alpacas are!!!! Yes, you heard it right! I got free alpaca fleece to play with! Not top of the line alpaca fleece, but dirty, coarser fleece. I can certainly do something with it though. My first attempt at washing a small section of it was a disaster though. I felted it before I wanted to felt it! Maybe I should just skip the washing part and card the fleece and prepare it to felt first. Either that, or I should do some more reading and asking questions before I try it again...well, I am not the researching type, so I'll just do it again until I get it right. At least I have lots to work with. Kaden and Gabriela sure hit it off. 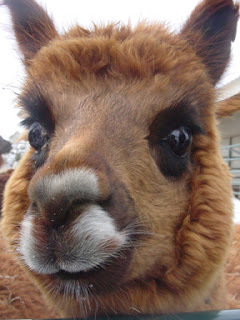 I had to laugh and laugh, my husband said that Gabriela must have mistaken Kaden for a cute boy alpaca because he has those big brown eyes and long eyelashes...just like an alpaca! Kaden Loves Gabriela, or does Gabriela Love Kaden???? Paula is due this summer. We are hoping for a baby girl! Keep your fingers crossed for us since a girl gives you more breeding stock and helps grow the herd! Isn't her fleece the most gorgeous color?? Well, I need to go announce another winner on the Looming Angels Yahoo Group Grand Opening...I'll announce the winning blog button tomorrow...see you then! Ouch! My knee hurts. I guess I'm already to the limping part! Hee, hee. I hope it gets better! Four miles down though! I am about as stressed as stressed can be lately. I had three tricky customer service issues to try and resolve and it wasn't even my fault! The person who took my orders at my supplier was let go just after I placed those three orders, and me and my customers were victims of her mess ups! Ouch! That hurts too! Not a good start! I hope it gets better. I have a dishcloth loom coming and I am so excited!! I don't know why I have become so interested in dishcloths, it is just nuts. I love needle knitting them and now I can try looming them. I just need to find the time! 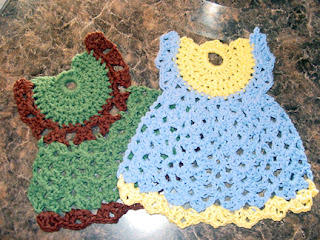 I bought a couple dishcloth leaflets with some darling patterns I am just dying to make. I will finally get to spin tomorrow! Here I thought all plans were off when last night my husbands brother called up and said his mother had been rushed to the emergancy room. He right away said he wanted to go see her on Saturday. My heart sank. Then he remembered I had my spinning that I was so looking forward to so he said we can go on Sunday instead...except, now I will probably miss the Looming Angels Grand opening. Changes, changes. Things are always changing around here! I started my exercise program yesterday. Now that the baby is finally going to bed at a decent time at night I finally have some time for myself to get myself back after having her! I know she is the last one so now I can be assured when I reach my goal, I shouldn't have any forced setbacks! I felt so FABULOUS when I was in super shape before I got pregnant with my son. I remember the feeling. I liked it. I want to feel that great again about myself and to just feel good. I slept better, ate better, looked GREAT and didn't have any of the aches and pains I have now (even my arthritis wasn't as bad). I know I am seven years older, but I am still young! I want to feel young again. 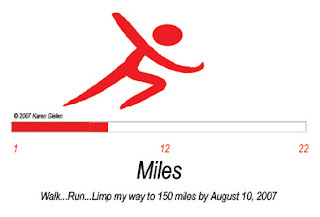 So, rather it be walking, running, or limping my way, I plan on making it there! 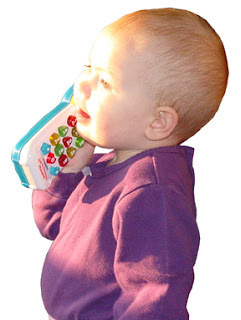 I got this bright idea to take pictures of my 16 month old with a play telephone and add her to my baby website. My goal is to give my website a warm and fuzzy feel. A newly pregnant woman or newly expectant father will usually go all googly over babies. I know, I've been pregnant three times and my husband has had a total of six children. Stay tuned for the big publish with all of my changes. Drum roll please.....and the winner of the blog/webring button for the LoomingAngels group is....Sorry, you'll have to wait until next weekend during the Grand Opening of the group to hear the winning button! Have a blessed Easter! See you next week! It seems I've had nothing but one dissapointment after another this past week. 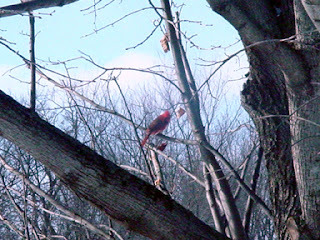 First of all, the weather had been so incredibly beautiful, the birds had been singing, the grass was turning green, the trees were beginning to bud, and then, it snowed. I am grateful we didn't get as much as was predicted, but, none the less, we still got snow... last weekend my sister and I were suppose to have a spinning class and that ended up not happening either! The gal who was going to teach us had baby lambs coming in and she couldn't be there...the grand opening for our Looming Angels group has been changed to not this weekend, but the following. 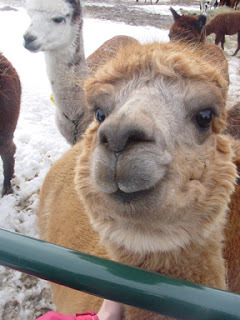 The owner of the group realized Easter was this coming weekend and needed to change the date to Sunday, April 15th instead...and, because of the snow, the dates for the alpaca shearing have changed. Now they are not going to be sheared this coming weekend, but rather, not until the very end of April and the two following weekends in May! Waiting for the return of our Lord has been a long, long wait, it seems. If we look beyond our current headlines, though, we can see that God's prophecies are quickly being fullfilled and we can be assured in the fact that our Lord's day is not very far off! Yes, we need to hurry up and wait! Our Lord is coming soon...and what a joyous day this will be! Why is everything going heywire???? I wrote a post this morning and it isn't showing up, now when I go to make another post, it is written in another language??? This is a cruel, cruel joke, especially when one hasn't gotten any sleep! Insomnia is horrible for anyone. I always thought it was the most horrible thing when I had to go to work the next day stumbling about in a zombie like state, watching the clock at work just as I had all night long, tick tock, tick tock... That was until I had children and I decided to become a stay-at-home mom. Mom is always on duty, you know. I watched the clock for hours on end last night. I decided to get back out of bed when I just couldn't get to sleep by 1 am. I tried to read for awhile but started getting restless legs (which is misery on top of misery when you are exhausted) so I crawled back in bed and miracle upon miracles I fell asleep...then came a little wimper (at 2:30 am) that got louder and louder. So up I got to check the baby. Talk about cruel. I layed back down only to begin watching the clock once more...3 am...4 am...5 am...I was sound asleep when bright and early at 7 am the baby started to cry, ready to be up for the day! Oh insomnia as a mother is the most horrible thing! I am making friends with my coffee pot today. 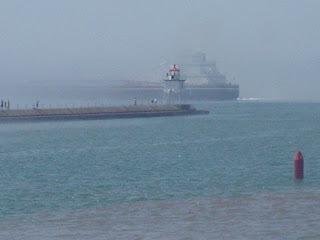 Wow, that Dusty sure runs a tight ship! Hee, hee. She's had me busy making graphics for the new LoomingAngels group (where we loom knit for a cause). I don't mind. A reprieve of sorts, I suppose. I had my nose burried in my laptop, head bent, neck cranked working on my "monster" website, I needed a couple days break. We make a great team, we bounce ideas off of eachother to make some really great graphics! Now I am working on a blog button to link to the Looming Angels group thanks to RavenStardream, and I got the idea to create a webring to create more interest and to recruit more members. When the buttons done, it's yours for the taking (please use your own badwidth), as long as you join to loom for a worthy cause :-)! Yipeeeeeeeeeeee! I get to spin yarn tomorrow!!!! Who hooooooo! Have a great weekend, I know I will. No, I am not talking about the yarn on my needles or my loom. I have a tremendous amount of tension in my neck...I was up all night not loom knitting, but thinking about my ecommerce web site and how much work I have to do to it. I have had children home from school and lots of work to do with my husband for his business so I've had no time to work on the web site. I am getting anxious to get it done since I have a lot of marketing dollars going into advertising this thing so we can finally get it to make money. I have put so much time and energy into this web site I need it to start really pulling in the cash. Based on what everyone is telling me, it is a lovely site and very well done, I just need to get it marketed. Guess what??? My Looming Angel is going to be used in a new group for looming for a cause over on yahoo. I am truly honored to share my talents for such a worthy cause. I was also honored that I was asked to share my design! I am just about finished with my dragonfly dishcloth I designed. I only get minutes a day to work on it so it is taking me a long time! It's a busy household with six kids running around. Amanda is a little cruiser now so she is into everything. It was close to 80 degrees today and we spent a lot of time outside (tomorrow and over the next week it is going to be only in the 40s so we enjoyed the weather while it was here). Amanda just loves being outside. She got out of her stroller and just walked around and around the garage! She was so excited to be on the ground. I let her walk barefoot (even through the mud) and she just loved it! She washed up in the tub so it wasn't a big deal. 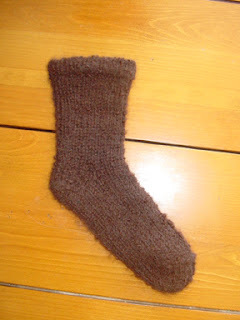 I call this my pet alpaca sock because I made just one, felted it (it of course shrunk) and when I went to make the matching sock, I couldn't find my row counts sheet. Now I have a sock I have no way of replicating. It feels so nice I have on more than one occasion (ok, more than several occasions) found myself petting it. I have watched my husband pet it. My kids pet it. My dad pet it. 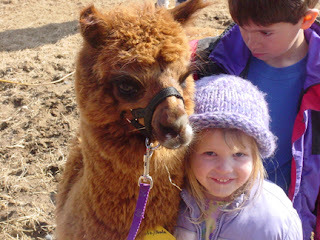 The alpaca rancher we got our animals from was petting it. Based on what everyone wants to do to it, I've affectionately named it "my pet alpaca sock". I know I am not alone, a gal really gets into knitting, crochet, looming, etc. and suddenly she can't get enough yarn. You find yourself going into the store to get yarn for a specific project and suddenly here you are tossing this yarn and that yarn into your cart as well. You walk up to the checkout with this feeling of guilty pleasure and then you get home and can't remember how you got all that yarn! I should be ashamed of myself, I opened my hall closet today and yarn balls came tumbling out! I swear a little yarn fairy came around during the night and filled up my closet! I was also digging in our storage shed today and found yarn from a long ago project and found myself snatching it up, coming into the house and stuffing it into what I now call my "yarn closet". Tell me I am not alone. Well, I need to put my nose back to the grind stone and work on the web site again. Ouch! My neck is sore! I have been busy hunched over my laptop for days trying to get my ecommerce website's product line switched out (mylullabybabystore.com). I have so many more products to upload and lost of body copy to write. I'm burned out for the night, I had to take a breather and focus on something else. I sure wish I were looming instead! I also have this darling dishcloth I designed that I am needle knitting that I am anxious to post. I need to learn how to convert it to the loom too. Funny, I learned to loom knit to convert patterns from needles to the loom and now I have started really loving my needles and my looms are getting a little neglected. I have some fine gauge sock looms coming my way in a few days from Decor Accents, Inc. so I am sure I'll be looming up some socks here pretty soon. I have a lot of alpaca yarn that would make some lovely socks! Well, I am pretty wiped out, I best hit the hay for the night. Have a great week! I have been working on designing cotton dishcloths and needle knitting them. Once I get my pattern needle knit, I can then turn my attention to converting it to my loom. I am anxiously awaiting my loom order I placed with Decor Accents (fine gauge) which will work wonderfully to replicate my needle knit design. My design features a dragonfly and is turning out very well. Once I figured out how to do it, I started designing lots of dishcloths in my head. And finally, our thoughts turn to fences since our alpacas can come home once we can get those fences done! Yeah! My brother-in-law is helping us tear down the old so the new can go up. He got all of the barbed wire off today and the old fence post taken down. Now we need to clear out the weeds and we are ready for our new fence posts and fencing. Our hills will soon be alive with the sound of music...the humming of alpacas! I am anxious also to get my hands on this luxurious fleece and to begin making some very special things. I am trying my hand at spinning the fleece to make my own yarns so I can loom knit and/or needle knit this spun gold into products we can sell and to wear for our own enjoyment. Once the frost goes out we can get out to our pasture and get our fencing in. We will be working very closely with the ranchers we are purchasing alpacas from in order to set our ranch up properly and to learn how to raise these animals to be happy, healthy, and gorgeous fleece producing animals. The hills on our acerage will soon be alive with the sound of music (humming alpacas)...thus the new name for our ranch--Humming Hills Alpacas of Avon, MN. Great News...Is this God or what?!?!?!?!?! "Here is the report I just received yesterday. God is definitely alive and well and working in my life. Well, would you like to hear something really amazing? I called the doctor's office today to get the results of my blood work. If you remember, the CA125 which is supposed to be 35 or less was 6464 one month ago. Well my prayer since I decided to go and have another test was that if it is not cancer, the Lord would make a significant difference in a way that would show people He is at work. For some reason it kept going through my head that maybe it would drop to around 5,000. That way it wouldn't be normal, but it wouldn't be climbing; and this would show in my mind that something is wrong in my body BUT NOT cancer. Well, when I called in today, her first remark was that the number had gone DOWN. She was telling me all the other blood test results like creatnine, oxygen in the blood, etc., but it took her a minute to find the CA125 number. FINALLY she told me it was 5169. WOW! That is lacking 5 points of being 1300 lower than the last reading. Is that God or what?!?!?!?!?! How can I help but love Him!!!!!!! My first reaction was to wait a month and do the blood test again. The secretary said she would have to check with the doctor, so I am thinking the doctor is going to want a cat scan, etc. Today I called back as I had not heard, and even the doctor is saying wait a month and check the test again. 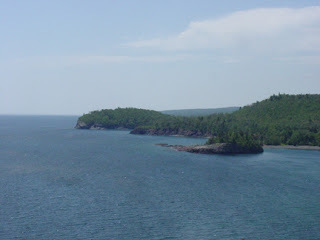 I think it is truly amazing and just like God!!!" 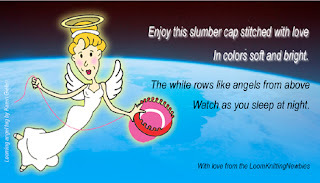 I put my graphic design skills to work and contributed an original design to the LoomKnittingNewbies group over on Yahoo.com for the chemo slumber cap relay. I am very proud to contribute my skills for something very close to my heart. 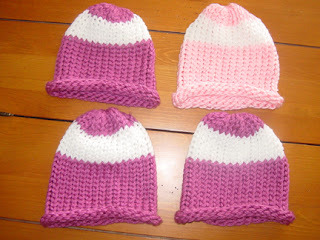 This has been such a rewarding experience for me, creating caps for little girls suffering from such a devistating illness (all of my caps are made on the red Knifty Knitter and are made from pale pink and purple yarn). I look at each of my girls, so healthy and full of life, and my heart strings ache for those little girls who will be donning my slumber caps I stitched with love. I wish I could take each of those little girls up onto my lap and hold them tight wiping all of their fears away (if only for a moment). Yes, may my looming angel watch over those suffering in the world below! I haven't posted in a while since I had such an incredibly busy week with appointments; alpaca ranches to visit; a birthday party to plan and have; and two feet of snow to move, shovel, and just sit and watch. I got alpaca yarn to knit with and I made three socks :-). I felted one sock and now I am working on the matching socks (hee hee). I started teaching myself how to felt raw fleece since I had a request for a fleece vest; I started taking a writing test to get into writing school; and last, but not least, I am working on a spreadsheet to figure out our corporate taxes due on March 15th. Whew! I am tired. I bet you are too after reading all of that! And on top of everything, I still have six children to chase around the house. I am now on my sixth chemo night cap. I will have enough yarn left over to do a special 7th hat using two colored yarns wound together that will look lovely together. I can burn the pictures onto my cd digital camera of all of my chemo caps now that I have it filled with birthday pictures so will post them tomorrow. Tah, Tah. I just finished my second hat (I started late yesterday) and have lots of yarn left over (I am making child hats) so will continue until my yarn runs out. I have a very sweet story to tell about my hats...My three (soon-to-be) four year old daughter Paige liked my hats so much she had to ask who they were for. I told her they were for a little girl with no hair. 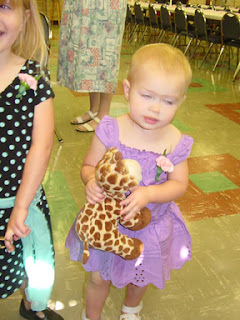 She right away thought they were for her sister Amanda May (who is one and doesn't have much hair). I told her that they were not for Amanda May but for a little girl we don't know that is probably about her age and doesn't have any hair because she is very sick. She right away named her "Cindy". I said to her, "Oh, her name is Cindy, huh?" and she said, "Yes." 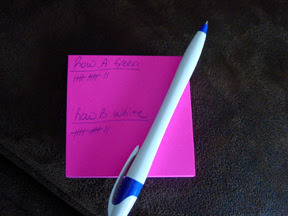 So when I started to make "Cindy" another hat she started with the questions again. She wanted to know why I am making "Cindy" another hat, and I told her it was because when "Cindy's" hat gets dirty, she will need another one. That made it all ok with her when I told her that. Then a little while later she wanted to know how dirty "Cindy" was going to get. I asked her why she wants to know that, and she said because she wants a hat just like "Cindy's" and she hoped "Cindy" wasn't going to get too dirty so I could make her one too! LOL. I just had to laugh! I have decided to join the Chemo Hat relay that is going on right now in the Loom Knitting Newbies group over on Yahoo.com. Cancer has truly touched my life through many of my friends and family so this is something very close to my heart. A very dear friend of mine is suffering right now, as is my father (he has prostate cancer and had been in remission from lymphoma for the past 4 years). Both of my grandmothers suffered with and died from cancer. I saw my dad's mother suffer from ovarian cancer, have surgery and recover for a time and then the cancer struck her again in the form of an inoperable brain tumor. She lost all of her hair from the chemotherapy and wore a wig at my wedding! I was very young when my mother's mother suffered with cancer that eventually took her life. I remember very clearly my mother sitting at the kitchen table breaking down in tears from watching her mother suffer. I remember my older sister becoming very frightened and worried when she was asked to go stay with grandma for a week in the summer (she was terrified that grandma would die while she stayed with her and she wouldn't know what to do)...Yes, cancer has definately touched my life. I do not know how many hats I will be able to do but I will do what I can. I have been very busy all weekend first designing and then making my three (soon to be four) year old's birthday invitations. She is a little princess so there is only one option fit for a princess...a castle card! 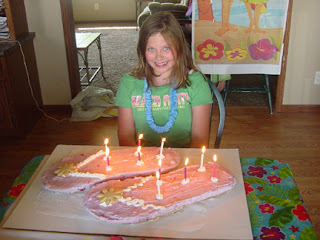 I have been carefully planning her birthday cake also and the details of her birthday party. 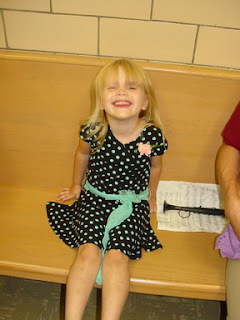 She is so cute, she is telling everyone that it is her "birthday week"! Sounds like just like a princess, stretching her day out to a whole week! I frogged my one loom mitten simply because it was so huge I could wear it as an oven mitt! 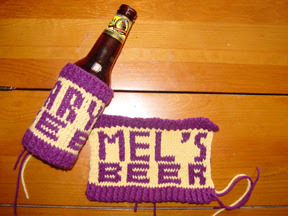 I will need to make this pattern on my mitten loom rather than the blue Knifty Knitter. This mitten pattern is very clever incorporating the thumb into the hand piece rather than knitting the thumb seperately. 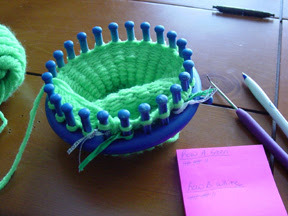 I got a little confused the first time I tried to knit it so I started to keep track by marking on a piece of paper Row A and put a green twisty tie on the pegs corresponding to that row and then I put Row B and put white twisty ties corresponding with those rows. This really helped me keep track! 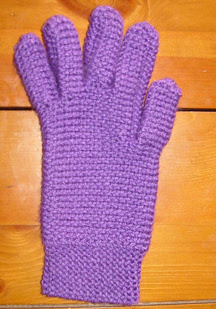 Well, someone from my Knifty Knitting Loom group over on Yahoo.com beat me to the punch on the loom knit glove! She has more experience with the loom than I and I just took on too complicated of a project for my level of knowledge (I tend to want to run before I walk). Congratulations Christine! I really want to know how you did it!